The craft of quilting is historic, and Denyse Schmidt captures it well in her unique fabric and pattern designs. Ansonia, her latest fabric collection for FreeSpirit Fabrics, celebrates the history of the East Coast, combining New England towns with a swinging bohemian hotel. Get a closer look at Denyse Schmidt's latest fabric masterpiece! Q: Tell us a little about the Ansonia collection. What were you inspired by? A: As with all my collections, they evolve when I start digging through my archives of vintage and antique fabric references, mixing and matching patterns to create a new story. As I start coloring and editing the designs, I begin to get a sense of what the collection feels like. 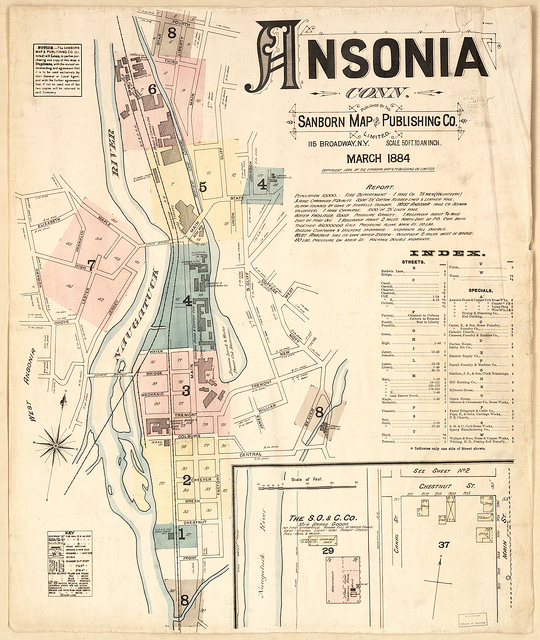 Ansonia is a town in Connecticut along the Naugatuck River valley. They used to make clocks, copper, and textiles there. Some of the patterns (like Psycho Swirl) felt a bit wilder somehow, which got me wondering about the Ansonia Hotel in NYC. Sure enough, when I started researching the hotel, it all came together! The hotel was envisioned and built by an heir of the Ansonia Clock Company. It was glamorous, unconventional and trend-setting. Because of its Upper East Side location, it was considered rather Bohemian. Among other things, residents enjoyed fresh eggs delivered daily from the farm on the roof, and live seals in the lobby fountain! The hotel attracted artists, musicians, and the fashionable set. It represents the intersection of art and industry that I love, and a sense of nostalgia that feels rooted in the present. A: I love to juxtapose unexpected styles and scales to make something that resonates with another time period, but also feels new and fresh. I create an assortment of patterns that tell a new story, a collection that would be fun to use for patchwork, apparel, and other craft projects. A: I would say I live in my own little bubble and try to steer clear of trends! Anytime I try to think about what’s hot or selling, I get all tangled up. It’s much easier, and I think the results are more interesting, when I stay true to whatever happens to interest me at the moment. I try to listen to what each collection has to say. This might sound a little weird, but as I assort and combine, the choices present themselves and become clear – you just have to be open and trust the process. For color ideas, I usually browse through magazines or books I have on my shelves for combinations that strike me. 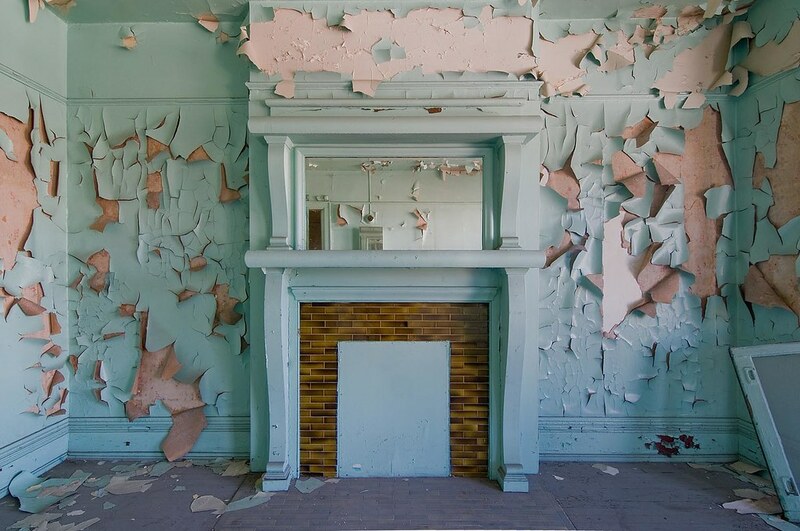 Q: What projects do you hope to see made with Ansonia? 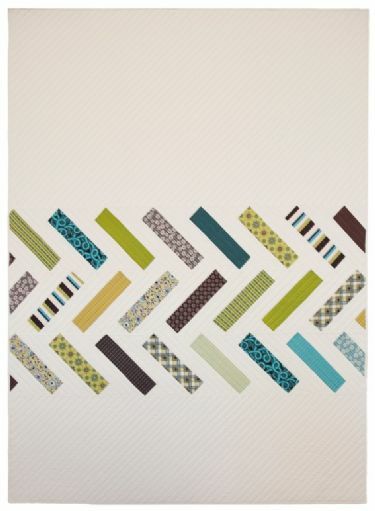 A: Well, my new quilt pattern, Here & There, looks pretty awesome in Ansonia, but I’ve always designed all my quilt patterns to work with any collection. At quilt market, FreeSpirit showcased some amazing bags and a beautiful Collette dress made up in Ansonia. I would really love to have a caftan-style dress made from Psycho Swirl! A: When I started my business 18 years ago, I used the word “modern” to differentiate what I was doing from what was prevalent in the quilt world at the time. I was inspired by antique or vintage quilts with an aesthetic that was spare and simple, or quilts that had seemingly haphazard details and a completely unique approach to pattern. 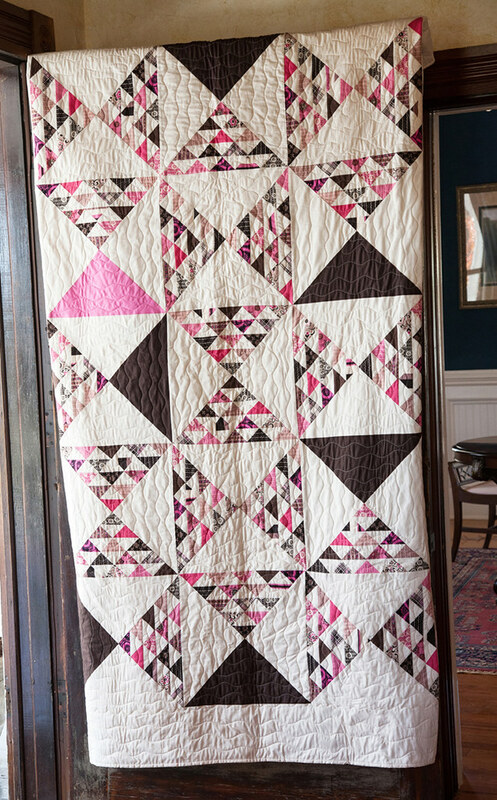 In some cases, the quilts that inspired me were hundreds of years old, but they felt so much more modern to me than the quilts being made at the time! Today there are many more quilters who are exploring the medium in new ways and it’s exciting. I think the thread through all the variations of my work – sometimes layered and complicated, sometimes spare and refined – is that they embody some truth of my own. I really try to listen to what feels authentic for me, and not what feels trendy or popular. When you make your living in the industry, it’s hard to NOT get sidetracked, but it only feels right when I am true to what I like, whatever it happens to be at the time. 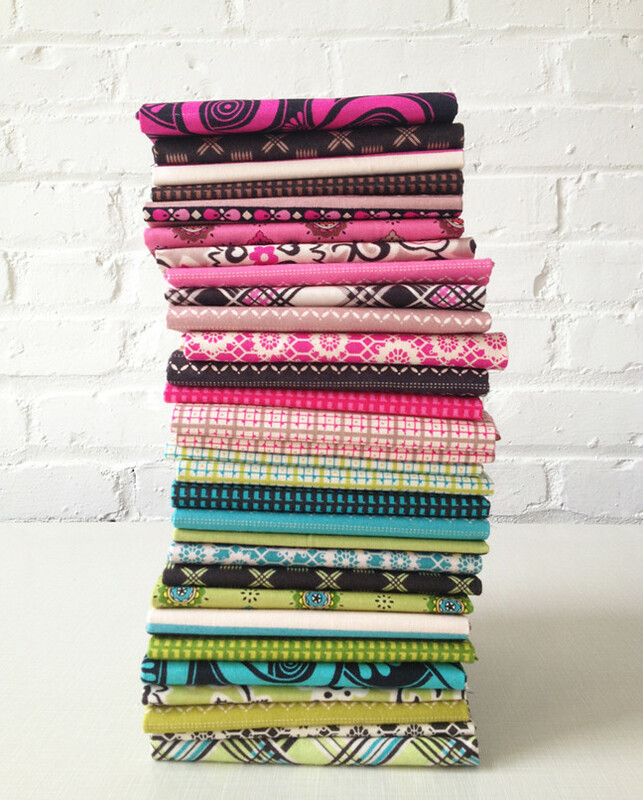 Q: What is your most memorable quilt project to date? A: I’m still kind of in love with the quilts I made as a series called Hope as the Anchor of the Soul, Mount Lebanon Series. They come from the same sense of combining the past with the present; evoking a sense of history while creating something that feels very new. It’s a blurring of definitions and categorization that I think is also captured in my fabric designs.